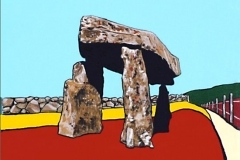 Annesley, Lord Francis. 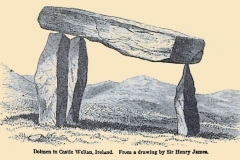 “Reader’s Submission.” The Journal of the Royal Society of Antiquaries of Ireland Fifth 5.1 (1895): 86-87. 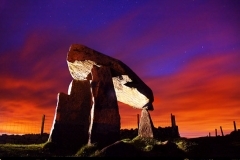 When a man-made structure, such as the Legananny Dolmen, has been a distinctive part of the local landscape for perhaps 4,500 years, it has earned its iconic status. 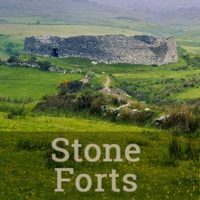 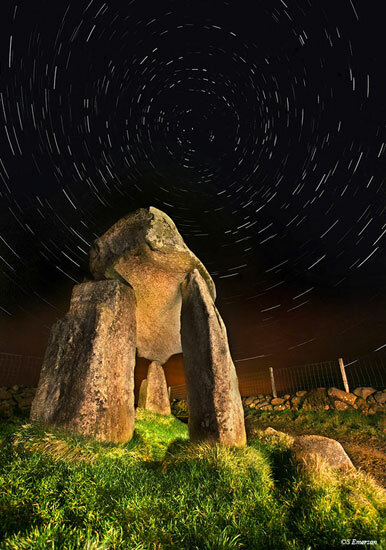 This portal tomb on the southwest side of Slieve Croob in Co. Down is one of the most photographed stone monuments in Ireland. 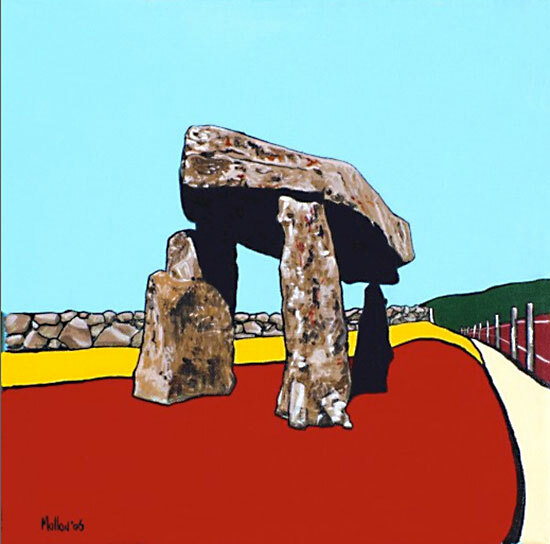 The Poulnabrone Dolmen, located on the main tour bus thoroughfare of the Burren in Co. Clare may be more frequently visited. But its remote location and its emphatic formalism make the Legananny Dolmen stand out against the sky as a sculptural object that inspires the visual artist. 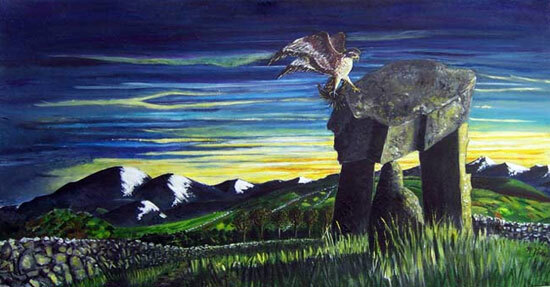 That, of course, is coupled with its evocative mysteriousness. Drag within the image to explore the Legananny Dolmen in virtual reality. 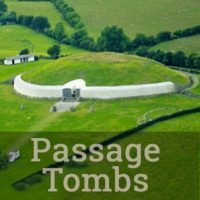 There are some 2000 photographs of this tomb to be found in a Google image search. 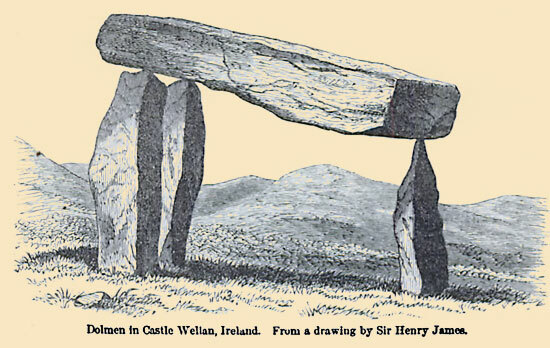 Its distinctive “tripod dolmen” shape has been likened to a coffin held high by its pallbearers. 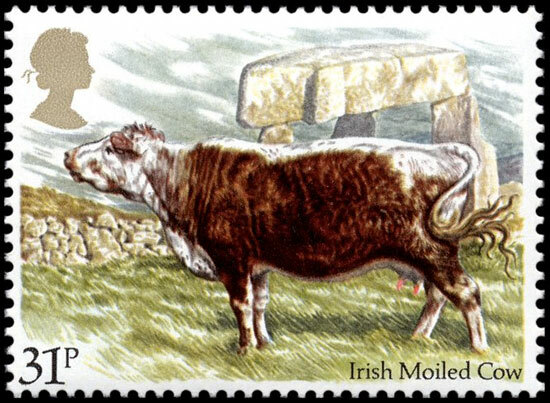 It was the iconic cover model for a book about Irish monuments published in 1902. 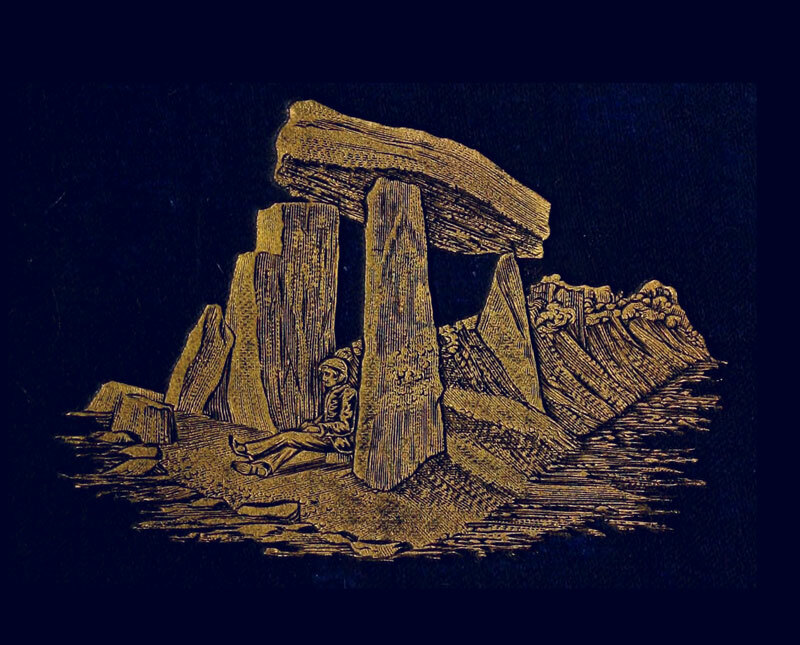 Traces of the Elder Faiths of Ireland 1 used a gold-embossed image of this monument. 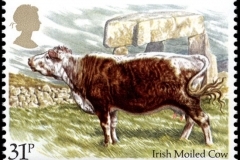 A drawing of the tomb was also on the cover of the 1971 edition of Antiquities of the Irish Countryside 2 (see illustrations, below left). 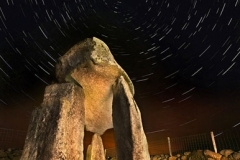 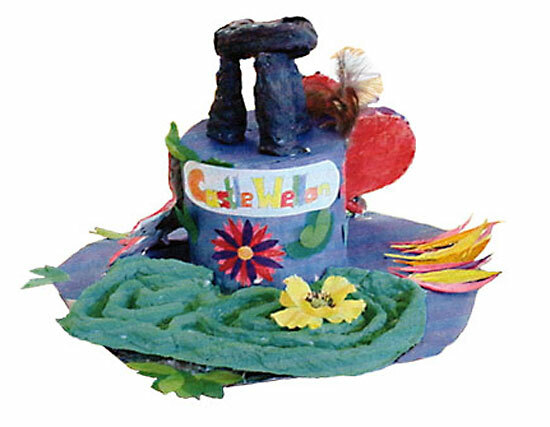 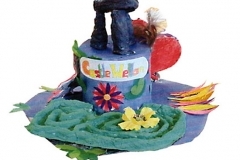 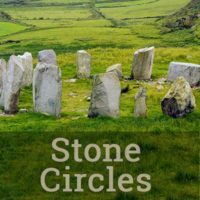 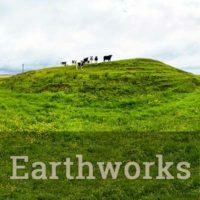 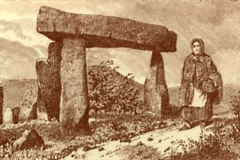 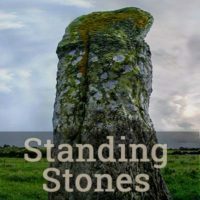 This “cover image” usage is honored within this project, as a miniature version of the rotating Legananny Dolmen is found on the Voices from the Dawn “About” page. 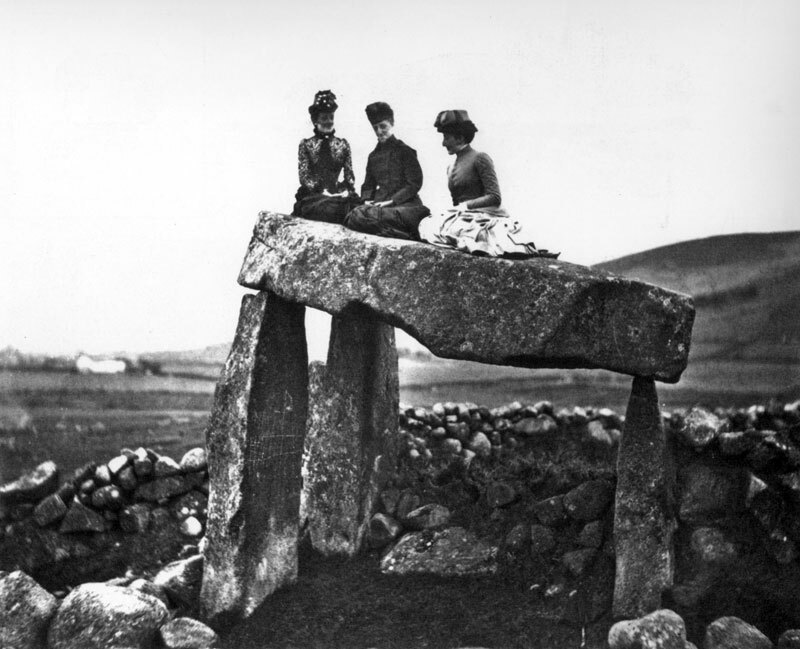 The stark and expressive shape of this tomb has inspired generations of artistic interpretations, included the photograph at the top of this page, taken in 1895 by the umbrella-toting Lord Annesley. 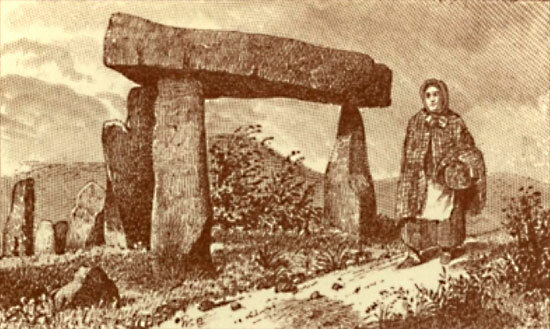 Even earlier are the sketches of the Ordnance Survey in the 1840s and William Gray’s drawing of 1884.3 Modern photographers, painters, and multimedia artists have continued the tradition by deriving their own interpretations from this megalithic muse. 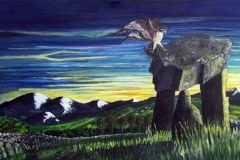 A selection of these may be seen in the gallery below. 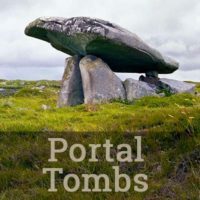 The virtual-reality environment (above) allows a thoroughly immersive exploration of the tomb, with panoramic views from two positions outside the structure and another from within it. 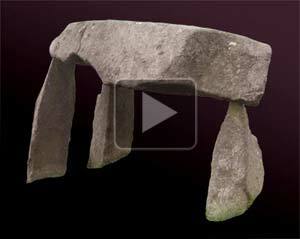 There is also a “virtual-reality object” that will allow you to rotate the dolmen around its own axis (below). 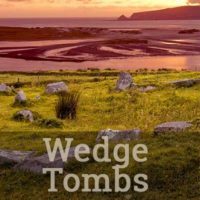 Click on it, then drag within the image in the floating window. 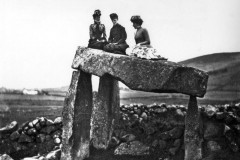 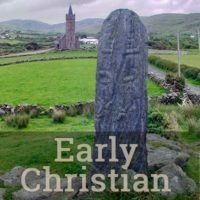 Traces of the Elder Faiths of Ireland, 1902. 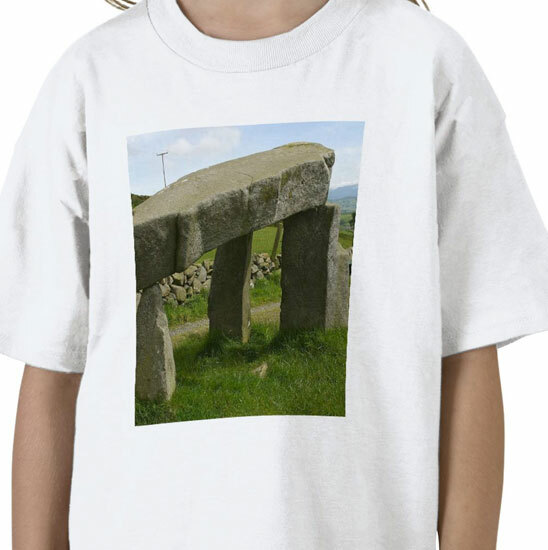 Click to rotate the Legananny Dolmen. 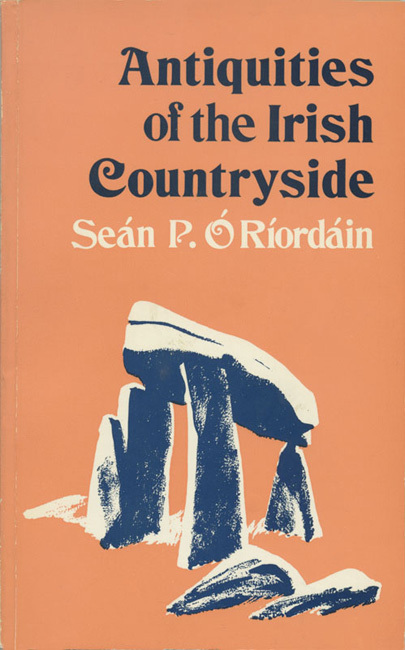 Antiquities of the Irish Countryside, 1971. 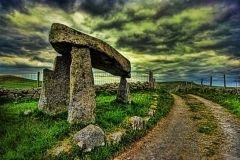 The Environment and Heritage Service signpost at the site explains that the name of the monument (and the townland) derives from Liagán Áine, “the pillar stone of Anya.” She was, in mythology, the mother goddess associated with the warrior Fionn mac Cumhaill.5 However a 1989 article researching local place names suggests an alternative: Liag an Fhanáidh, “the flat stone on the slope.” 6 The Legananny Dolmen’s commanding position presents views to the length of Slieve Croob to the northeast, and the Mountains of Mourne to the south. 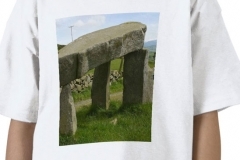 The visitor-friendly Binders Cove souterrain is close by. 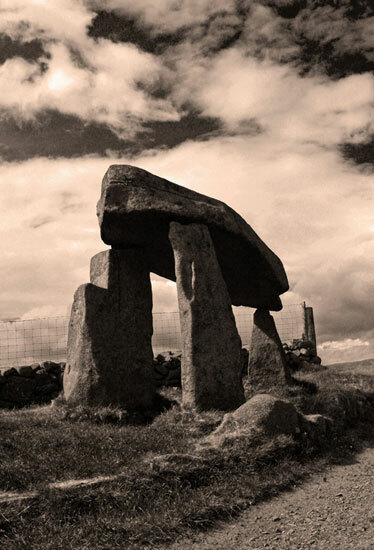 A visit to the Legananny Dolmen connects the visitor not only to the monument but also to the uncounted generations of others who have stood in the same spot, beginning with those whose hands first raised the stones into the shape we still see four thousand years later. 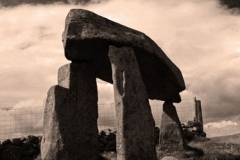 It is an enduring place, creating an enduring fascination.